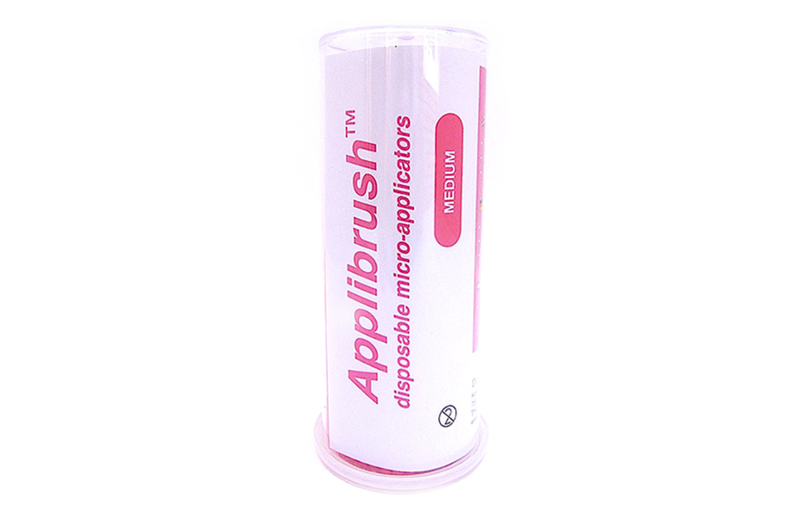 Applibrush™ medium micro-applicators are equipped with a medium size brush head. They are designed and developed for dental professionals but can be used in many other situations. Applibrush Medium micro applicators are ideal for applying bonding agent in larger preparations (premolars and molars), varnishes and etchants in almost any restorative dental procedure. Because of the high capacity Applibrush™ medium applicators are very efficient in applying bonding agents to larger preparations. The one step dental bonding applicator. Packaged in convenient, practical tubes for hygienic dispensing. 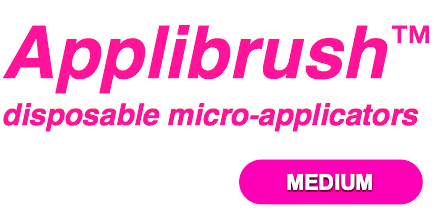 Applibrush™ medium micro-applicators are designed to give clinicians a brush with a medium size brush head for applying dental bondings and many more. The cutting-edge bendable neck is held in place with stay-put strength engineered to eliminate rebound. The handle is designed to give clinicians maximum tactile control. The product tube’s easy dispensing system with lock-in-place lid is designed for dispensing with ease. Practical and hygienic. The high quality, non-absorbing and non-linting medium brush head secures a precise application of bonding agents, fluoride varnishes and many other liquids. Applibrush™ medium applicators are comfortable, easy to use and very efficient. Their medium size brush head puts them between Brussy™ XL macro-applicators™ and Applibrush™ small micro-applicators™. Another high quality product made by DentalColors BV. REF: APPLIBRUSH – 4 x 100 medium micro-applicators packaged in easy dispensing tubes. 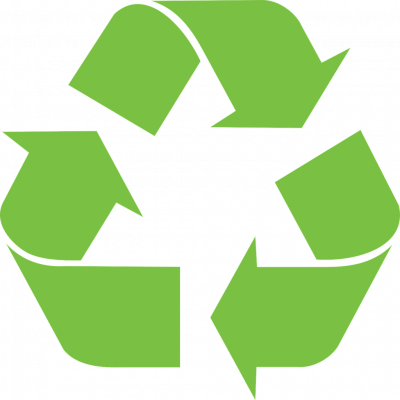 Disposable and for single patient use only. Excellent micro-applicators suited for many purposes. Another high quality product made by DentalColors in a beautifull pink color.